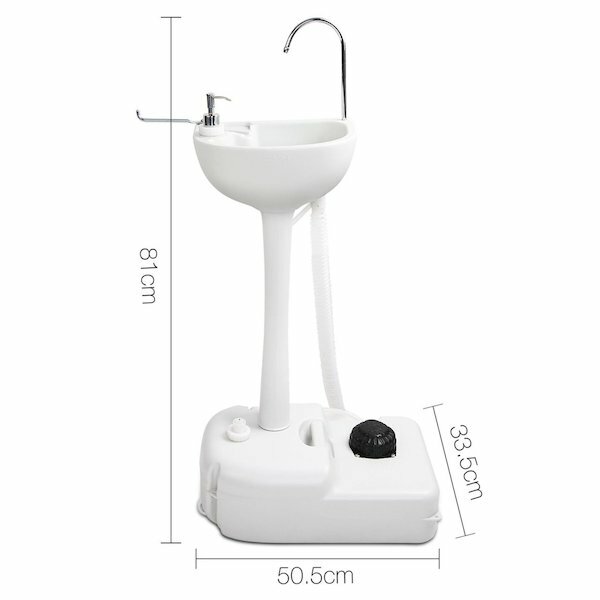 Ideal for all catering related businesses such as Street Food suppliers, retailers, farmers’ markets and kiosks, outside catering, fast food outlets, ice cream vendors, coffee kiosks, sandwich bars and all other forms of mobile catering. 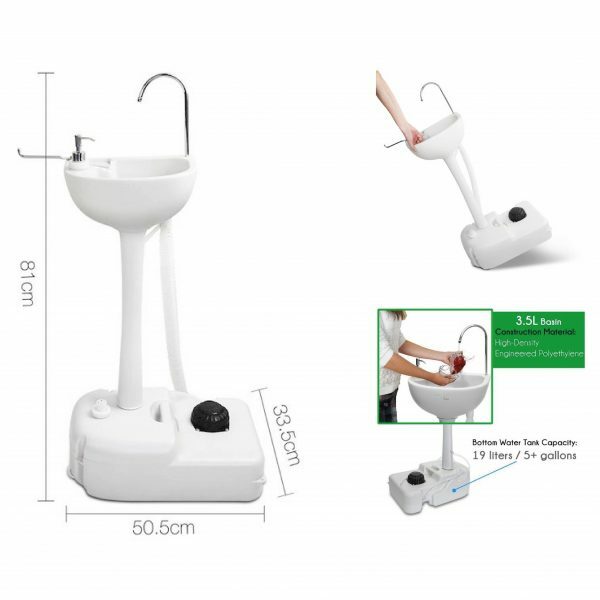 €85.00 excl. 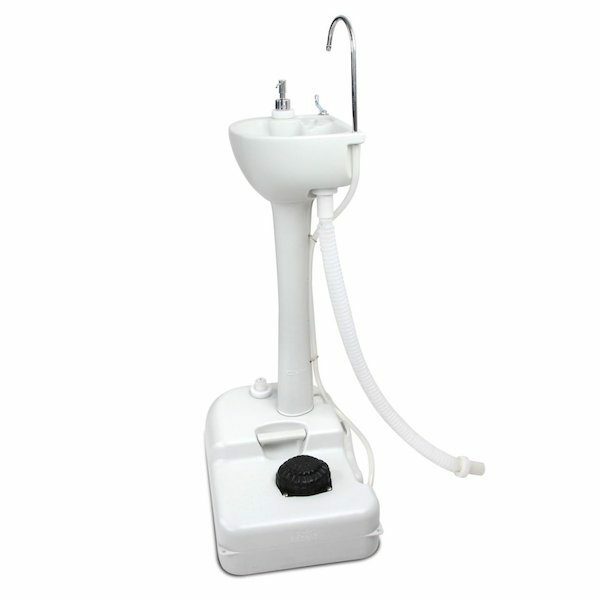 VAT which will be added at the checkout. 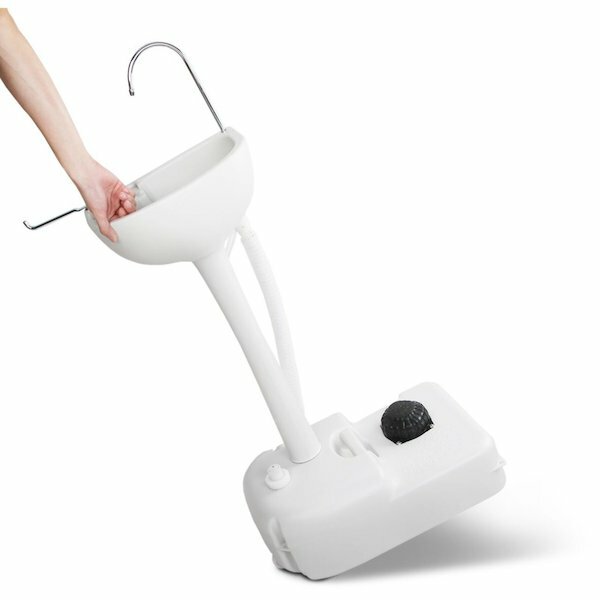 Ideal for all catering related businesses such as Street Food suppliers, retailers, farmers’ markets and kiosks, outside catering, fast food outlets, ice cream vendors, coffee kiosks, sandwich bars and all other forms of mobile catering. 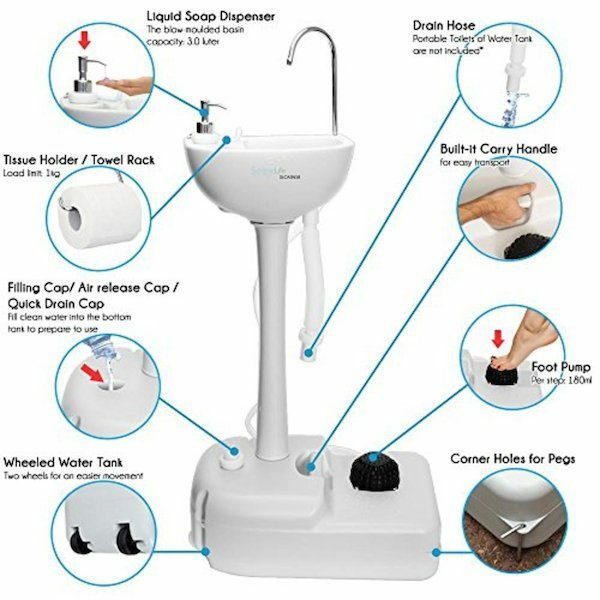 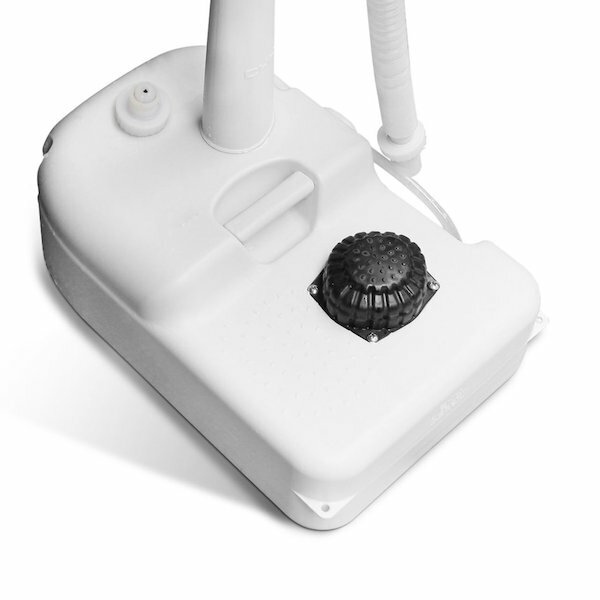 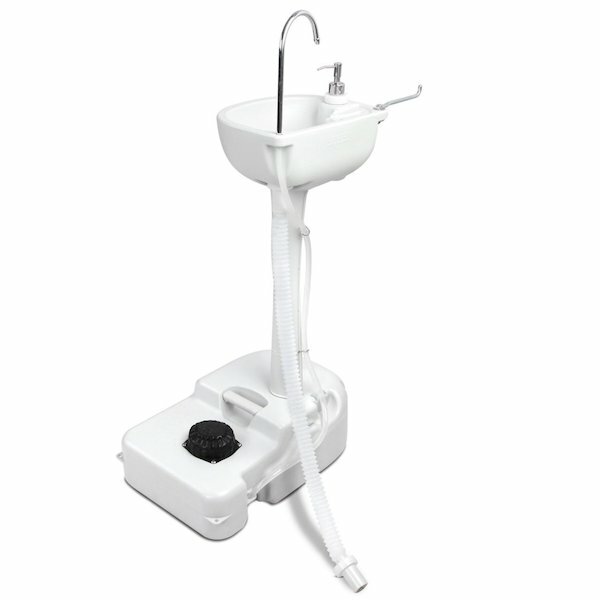 This portable sink has wheels and a hands-free faucet that uses a foot operated pump, providing the stream of water. 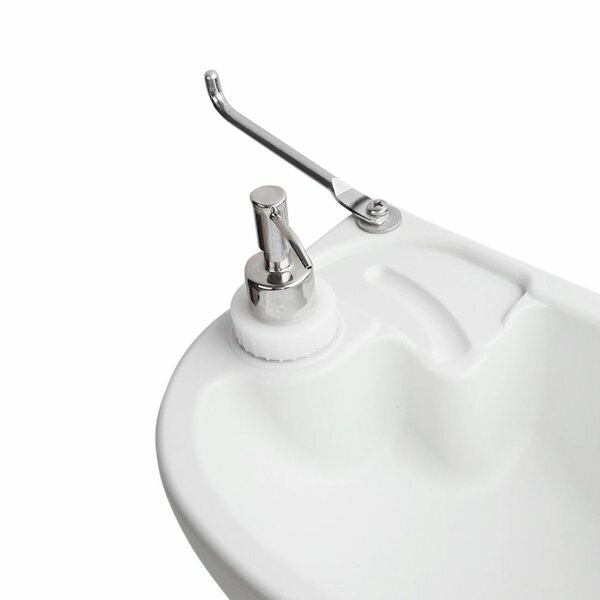 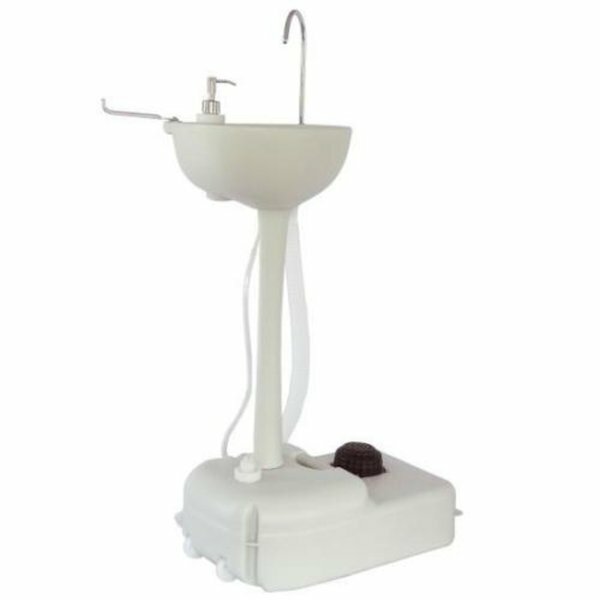 Another feature of this portable sink includes a holder for soap or hand sanitizer and towel rack. 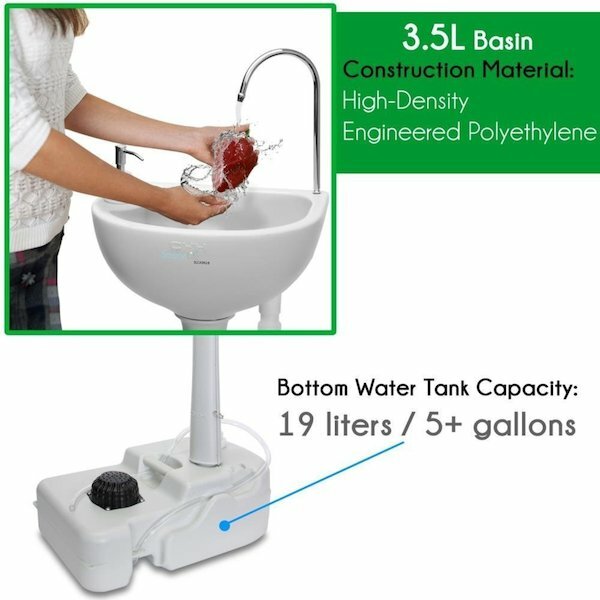 Easy to use portable sink only requires you to fill the tank under the stand then give it a few foot pumps to get the water going. Water usage is easy to control. 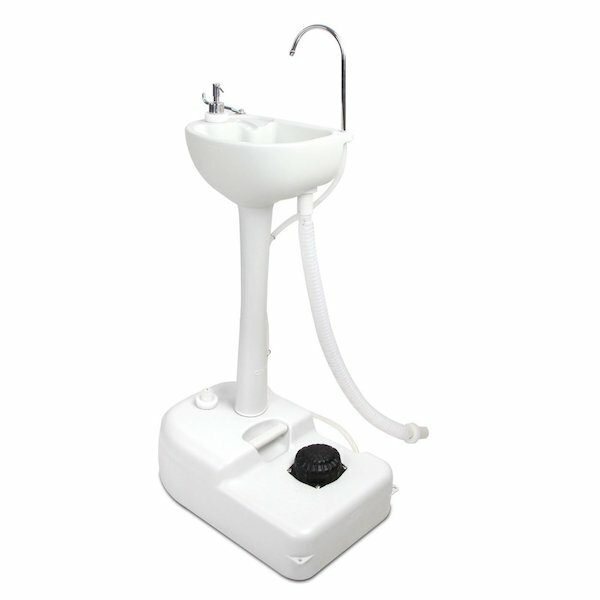 This portable sink allows you to maintain a healthy level of hygiene no matter the where you.